Theatre is an inherently collaborative genre. There is, quite literally, no way to do theatre alone. It’s only natural that the author of this blog post, Emily Ditkovski, Director of the Williston Theatre, would seek collaborators wherever she can. The source material for our fall play, The Comedy of Errors, comes from two comedies by the Roman humorist Plautus, primarily The Menaechmi (cue Latin teacher Ms. Cody). The play is also heavily influenced, as devoted blog readers know, by commedia dell’arte (cue AP European History teacher Mrs. Klumpp). I reached out to my colleagues last spring to see if we could work together. They agreed (cue Ms. D doing a happy dance.) Ms. Cody, an expert wordsmith, named this project The Ab Fab Collab(oration) and thus something truly exceptional was born. After some great and entertaining conversation, Mrs. Klumpp, Ms. Cody, and I decided that it would be most powerful for our students to teach our community about commedia and Plautus. Ms. Cody’s Latin IV Honors students read The Menaechmi (parts of it in Latin, ladies and gentleman!) and planned a lesson to teach the cast of the play. A few weeks back Ms. Klumpp generously invited Ms. Ditkovski to her AP European History classes to introduce commedia dell’arte and discuss it’s influence on Western comedy. Some of you might have noticed me crossing campus with a vintage suitcase and wooden sword wondering what I was up to. Well, you are about to find out! 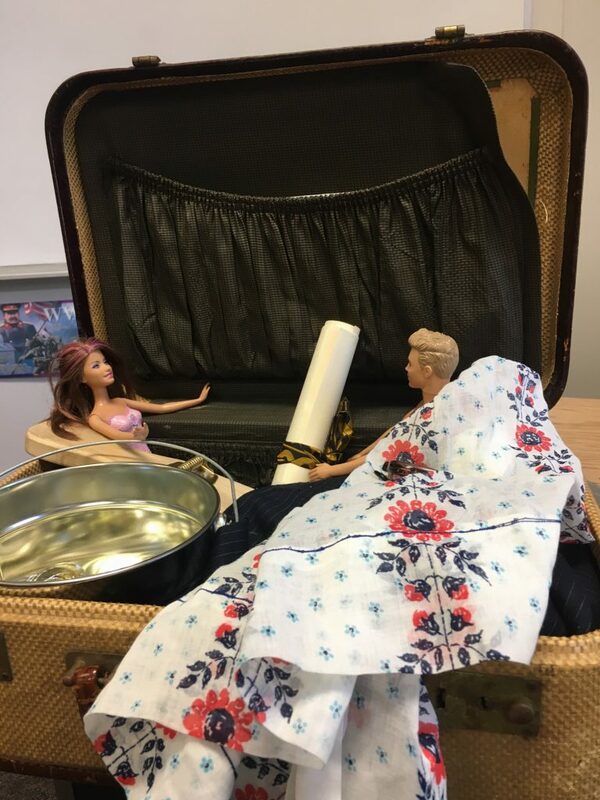 Inside said suitcase were various props relating to commedia: a slapstick, a pair of pants, Barbie and Ken (delightfully dressed for a day at the beach), a bucket full of coins, among a few other things. Acting as detectives, students needed to connect the objects to commedia. At the end of the class they were given the opportunity to try on the body language of a few stock characters. The point of this exercise was to entice them to learn more about commedia so they can, ultimately, teach the entire Williston community a thing or two about the famous art form. I don’t want to give away Mrs. Klumpp’s secrets, but I know she is planning an AP Euro takeover of the Willistonian’s Instagram and perhaps a commedia board game or two available at the dining hall. Judging by their enthusiasm during my visit, I think we’re in for a good time! The famous suitcase full of props. 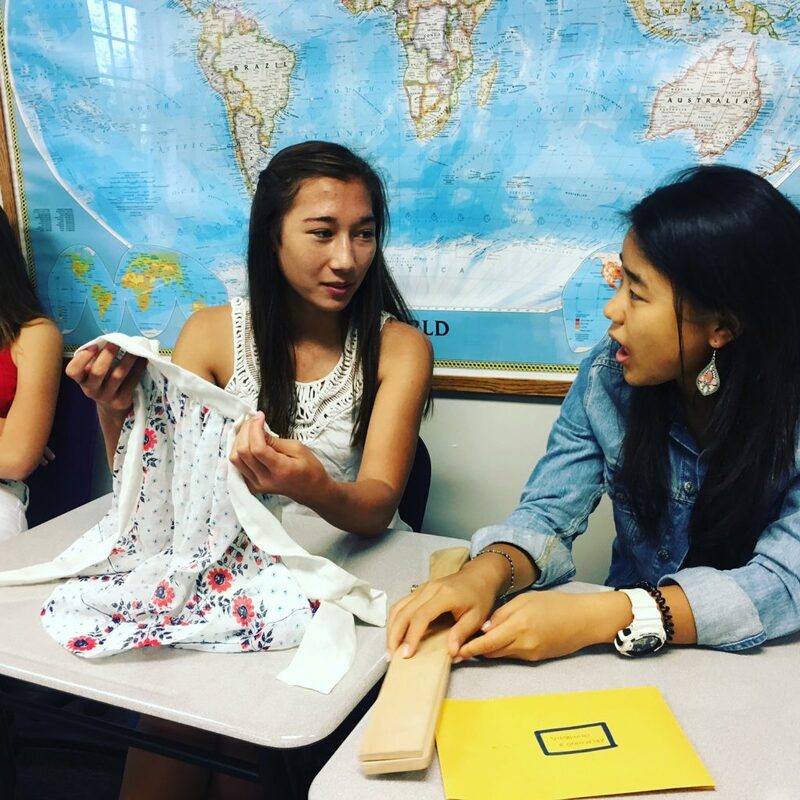 AP Euro students decipher the connection between commedia, an apron, and a slapstick. 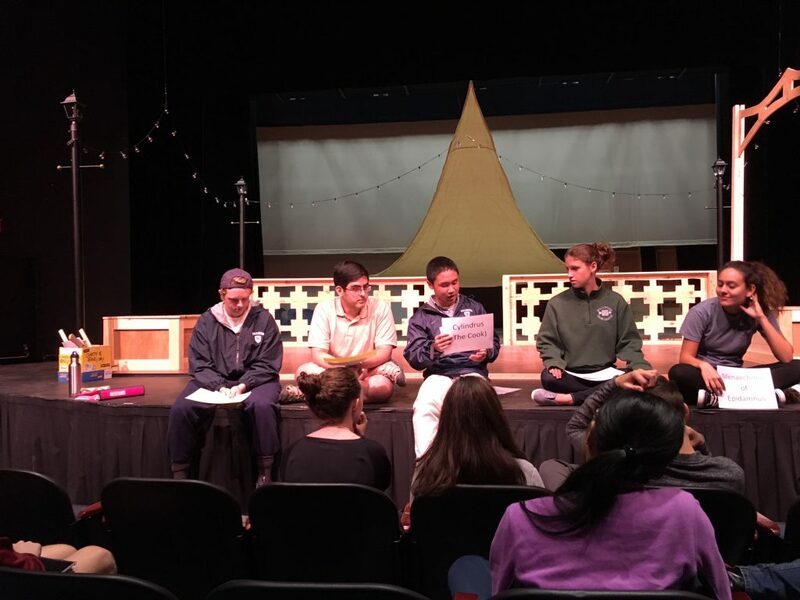 After tackling The Menaechmi in class, Latin Scholars planned a visit to a rehearsal for The Comedy of Errors . Last Friday the night of their visit arrived. 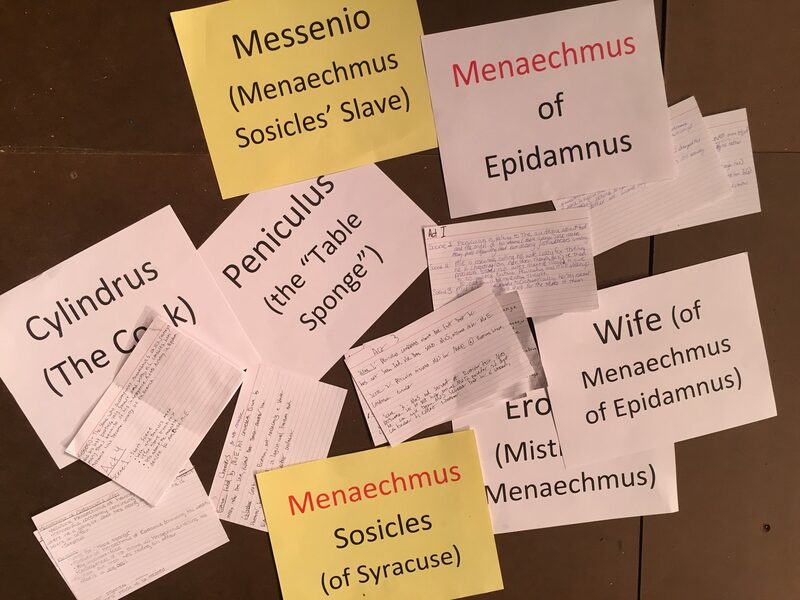 After describing the characters and plot of The Menaechmi with gusto (and props! ), the Latin students helped us played a little Kahoot to test our knowledge of the plot. I was so impressed with the notes that the Latin IV Honors students made I had to take a picture! The Latin IV Honors students give us a scene-by scene breakdown (props included!). Why all of this collaboration, you ask? Besides the fact that it is just fun for us teachers who usually work solo in the classroom, collaboration brings home how interconnected we are. Plautus wrote in Ancient Rome, commedia’s big moment was in the Renaissance, and here we are hundreds and thousands of years later thinking about these works of art and the themes they raise like class inequity and sexism. We stand to learn a lot by looking backwards in time from every angle that we can: theatre, Latin, history. 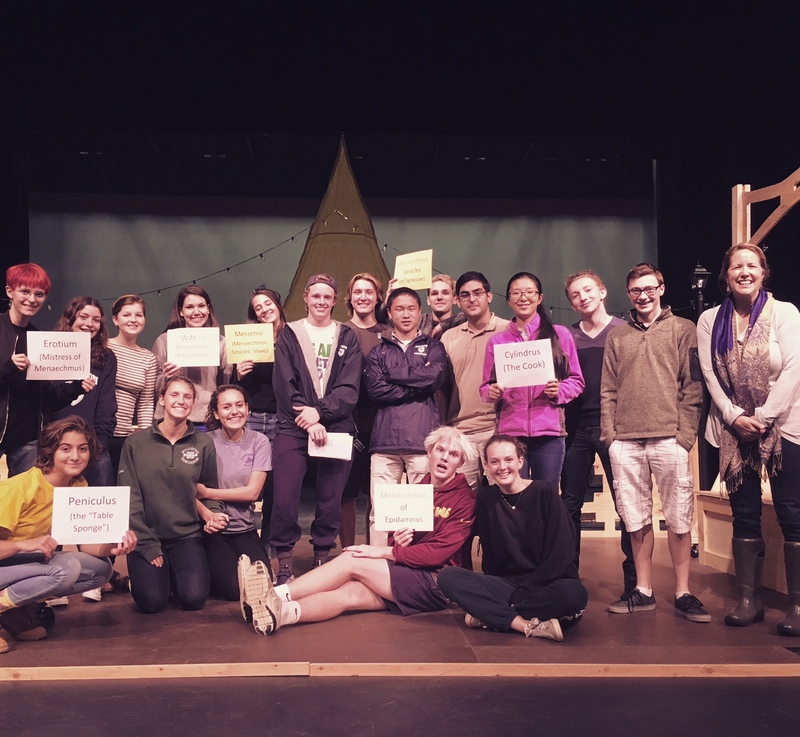 Latin scholars and the cast of The Comedy of Errors. Outstanding! Interdisciplinary collaboration at its best. Can’t wait to see the play.